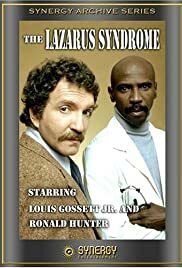 An adulterous newspaper reporter, who has just experienced a heart attack, pesters a black doctor into investigating the questionable medical practices taking place at the hospital where both are residing. Female prisoners are shipped to Devil's Island penal colony. They are indoctrinated into the prison life from abusive guards and then a new prison governor arrives with planned reforms. A story of the settling in the West and the hardship and determination it took to do it. An insane Hollywood makeup man kidnaps a woman, keeps her prisoner in his warehouse full of props.